Largely defunct as of 2012, the Iran Policy Committee (IPC) was led by Raymond Tanter, a former National Security Agency staffer who is a member of the neoconservative Committee on the Present Danger and was an adjunct scholar at the "pro-Israel" Washington Institute for Near East Policy. As of 2014, the main IPC website had not been updated since 2011. Another website, called the Iran Policy Committee Publishing and apparently run by Tanter, first started posting in 2012 and mostly provides updates on Tanter’s media appearances and publications. IPC, which claimed that it was comprised "of former officials from the White House, State Department, Pentagon, intelligence agencies, and experts,” characterized Iran as a "primary threat against the United States and its allies," arguing that military and diplomatic solutions should be combined in a strategy that calls "for change in Tehran based on Iranians instead of Americans." The group's slogan was "Empowering Iranians for regime change." Past members of IPC have included James Akins, former U.S. ambassador to Saudi Arabia who passed away in 2010; Bill Cowan, a retired Marine lieutenant colonel and chief executive of wvc3, Inc., a private contractor that provides security and intelligence services to the U.S. government and corporations; R. Bruce McColm, a former president of the International Republican Institute who has been associated with a number of neoconservative-led outfits, including Freedom House and Social Democrats-USA; Thomas McInerney, a retired air force lieutenant general and former vice president of the Pentagon contractor Loral Defense Systems; Paul E. Vallely, a retired army deputy general, adviser to the hardline Center for Security Policy, and coauthor with McInerney of the 2004 book Endgame: The Blueprint for Victory in the War on Terror; Charles T. "Chuck" Nash, a retired navy officer and founder of Emerging Technologies, a U.S. military contractor; and Edward Rowny, another retired army officer who served as an arms control negotiator during the Reagan and Bush Senior presidencies. Often introduced as the “president” of IPC, Tanter appears from time to time on various media outlets to discuss issues related to Iran. In one such appearance on CCTV, Tanter expressed his strong opposition to the Obama administration’s nuclear negotiations with Iran. “Regime change from within is the only way you can keep a nuclear-armed Iran from coming into being,” Tantor said in the interview. IPC's advocacy on behalf of the Iranian opposition—which primarily takes the form of white papers, press conferences, and op-eds—was based almost entirely around the Mujahedin-e Khalq (MEK), an exiled Iranian opposition group that was considered a foreign terrorist organization by the U.S. State Department until 2012. The organization was removed from the list after years of an aggressive and well-funded lobbying campaign supported by a bipartisan cast of high-profile former public officials and groups, including IPC. Advocating the delisting of MEK was a central plank of IPC's work since its founding. Indeed, it was the subject of the group's August 2011 report, "Terror Tagging of an Iranian Dissident Organization," which contended that "a political explanation resolves the puzzle of why the MEK continues to be designated [as a terrorist organization] contrary to the law and the facts." Tanter, who claims that the MEK "is genuinely committed to democracy and not pretending just to gain support," has suggested that the exiled group embodies the bulk of Iran's opposition, comparing it favorably to the domestic Green Movement. MEK's critics have likened the organization and its leader Maryam Rajavi to the Iraqi National Congress (INC), an Iraqi exile group led by Ahmed Chalabi that worked to drum up U.S. support for an invasion of Iraq in the 1990s and early 2000s. By presenting itself to western supporters as an Iraqi government-in-waiting, INC enabled Iraq hawks in the United States to claim that there was Iraqi support for the U.S. action. IPC in particular has embodied the link between pro-MEK groups and pro-INC groups. A 2010 LobeLog investigation found that "through 2006, IPC shared an address, accountants, and some staff with multiple organizations that either fronted for or had direct ties to the INC, even sharing staff members with those groups. Some of those ties have continued through today." On January 11, 2007, a day after President George W. Bush announced his "surge" strategy for Iraq, IPC held a press conference at the National Press Club to announce the release of its latest paper, "How to Make the Surge Work: A Complementary Political-Military Plan for Iraq." Arguing that Iraqi Prime Minister Nouri Al Maliki would be unlikely to meet important political milestones in quelling the violence in that country because of Tehran's supposed meddling, the IPC paper maintained that the Bush administration should find a role for "the Iranian opposition in Iraq to build a national compact among the Iraqi factions." IPC's first white paper, "U.S. Policy Options for Iran," presented a strategy of regime change involving Iranian dissidents, primarily the MEK, which the report described as "indisputably the largest and most organized Iranian opposition group." The report discounted negotiations with the Iranian government as an effective strategy. "Negotiations will not work," commented Vallely, one of the IPC principals who helped prepare the report. Vallely described the Iranian regime as a "house of cards." In addition to calling on the U.S. government to take the MEK off its list of international terrorist organizations, the IPC report advocated that the Bush administration "might encourage the new Iraqi government to extend formal recognition to the MEK, based in Ashraf, as a legitimate political organization. Such a recognition would send yet another signal from neighboring Iraq that the noose is tightening around Iran's unelected rulers." The report concluded, "The designation of the MEK as a foreign terrorist organization by the State Department has served, since 1997, as an assurance to the Iranian regime that the United States has removed the regime change option from the table. Removing the terrorist designation from the MEK could serve as the most tangible signal to the Iranian regime, as well as to the Iranian people, that a new option is now on the table. Removal might also have the effect of supporting President Bush's assertion that America stands with the people of Iran in their struggle to liberate themselves." IPC demonstrated its strong ties on Capitol Hill in April 2005 when it convened a briefing at the invitation of the Iran Human Rights and Democracy Caucus of the House of Representatives, then chaired by Reps. Tom Tancredo (R-CO) and Bob Filner 9 (D-CA)." At a January 2006 rally organized by the MEK, Tanter opined that the revolution in Iran will not be one of the nonviolent "color revolutions" likes those in central Europe. "To say that the only route in Iran is the non-violent route of Gandhi and King is to misunderstand the nature of the theocratic regime in Tehran." The pro-MEK rally was endorsed by two senators: Sen. Tom Coburn (R-OK) and Sen. Kay Bailey Hutchison (R-TX), as well as by the House's Iran Human Rights and Democracy Caucus and by four individual congressional representatives: Reps. Christopher Shays (R-CT), Ed Towns (D-NY), Bob Filner (D-CA), and Sheila Jackson Lee (D-TX). On May 11, 2006, IPC released a policy paper, "What Makes Tehran Tick," which concluded that Iran's hostility toward Israel and the United States is less a result of feeling threatened or living in a "tough neighborhood" than of "the nature of the regime's revolutionary ideology." Explaining the paper, Tanter stated, "The Islamist nature of the regime takes on enhanced importance because Iran is on the road to acquiring nuclear weapons, and there are few exit ramps along the way." Tanter said that, "Given the Islamist character of the Iranian regime and its nuclear potential, only regime change ends the threat of a nuclear-armed Islamist Iran. Diplomacy and military strikes would only delay the onset of the Iranian regime acquisition of nuclear arms." Raymond Tanter, “Terror tagging of an Iranian dissident organization,” IPC, March 22, 2012,http://www.upi.com/Top_News/Analysis/Outside-View/2012/03/22/Terror-tagging-of-an-Iranian-dissident-organization/UPI-47251332412380/. Raymond Tanter, "Tehran's Anti-MeK Propaganda Machine," National Interest, October 27, 2011,http://nationalinterest.org/commentary/tehrans-anti-mek-propaganda-machine-6097%3Fpage%3D2. Fatemi and Karim Pakravan, "War With Iran? US Neocons Aim to Repeat Chalabi-Style Swindle Ali," Truthout, July 15, 2011,http://www.truth-out.org/news/item/2156:war-with-iran-us-neocons-aim-to-repeat-chalabistyle-swindle. Ali Gharib and Eli Clifton, "Neocon Iran Policy Committee tied to disgraced Iraqi National Congress," LobeLog, September 10, 2010, http://www.lobelog.com/neocon-iran-policy-committee-tied-to-disgraced-iraqi-national-congress/. IPC, "How to Make the Surge Work," January 11, 2007, http://www.iranpolicy.org/uploadedFiles/Pol_Mil_Plan_Iraq_11Jan07.pdf. IPC, "How to Make the Surge Work," January 11, 2007,http://www.iranpolicy.org/uploadedFiles/Pol_Mil_Plan_Iraq_11Jan07.pdf. Jim Lobe, "Iran War Drums Beat Harder," Anti-war.com, February 11, 2005, http://www.antiwar.com/lobe/?articleid=4805. Iran Policy Committee, “White Paper: U.S. Policy Options for Iran and Iranian Political Opposition,” September 13, 2005,http://www.iranwatch.org/sites/default/files/perspex-ipc-politicalopposition-091305.pdf. IPC, "U.S. Policy Options for Iran," February 10, 2005,http://www.iranpolicy.org/uploadedFiles/USPolicyOptions_for_Iran_Feb2005.pdf. "Members of Congress, Iran Policy Committee Meet to Discuss U.S. Policy Options for Iran," Iran Policy Committee, April 7, 2005. Strategic Policy Consulting, "Biography: Alireza Jafarzadeh," http://www.spcwashington.com/index.php?option=com_content&task=view&id=32&Itemid=49. Clare Lopez, "True Monsters of Iran: Terrorist Theocrats, Not the Mujahedeen-e Khalq," Global Politician, January 31, 2006,http://www.globalpolitician.com/21581-iran. "White House Rally for Democratic Change in Iran," Council for Democratic Change in Iran, January 2006, http://www.ncr-iran.org/en/news/iran-resistance/861-white-house-rally-for-democratic-change-in-iran-un-security-council-action-against-tehran. "IPC, a nonprofit and bipartisan organization based in Washington DC, believes that for too long, policy debate on Iran has been divided between those who favor engagement with and those who support military strikes against the Iranian regime. President George W. Bush advocates working with the Iranian people as opposed to the regime in Tehran and has explicitly called for ending tyranny in Iran. 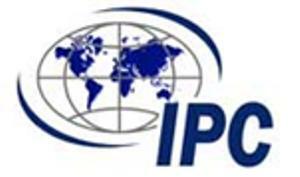 By calling for change in Tehran based on Iranians instead of Americans, IPC stresses the potential for a third alternative: Keep open diplomatic and military options, while providing a central role for the Iranian opposition to facilitate democratic change. Iran has emerged as a primary threat against the United States and its allies: Iran's drive to acquire nuclear weapons, continuing support for and involvement with terrorist networks, support for groups in opposition to the Arab-Israel peace process, disruptive role in Iraq, expansionist radical ideology, and denial of basic human rights to the Iranian population are challenges confronting U.S. policymakers. IPC enters the debate in Washington over Iran policy by think tanks that also published reports on Iran—Council on Foreign Relations, The Committee on the Present Danger, The Washington Institute for Near East Policy (TWI). In trying to solve the puzzle posed by Iran, the IPC goes beyond these organizations to suggest a central role for the Iranian opposition in U.S. policymaking."